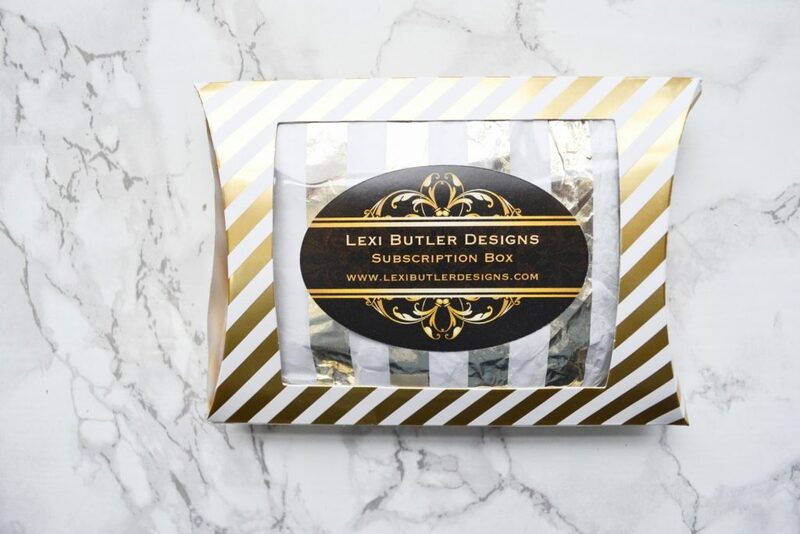 Lexi Butler Designs is a handmade jewelry business based in Montana. 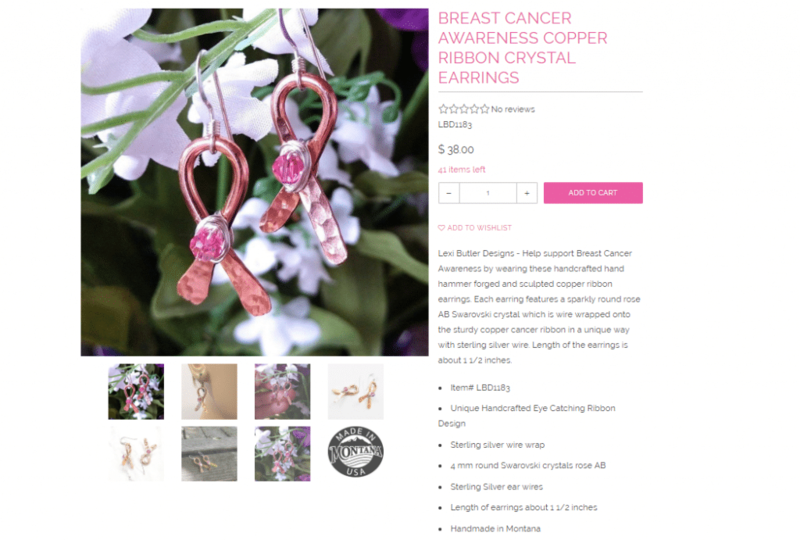 Lexi creates unique jewelry designs, which you can purchase on her website. 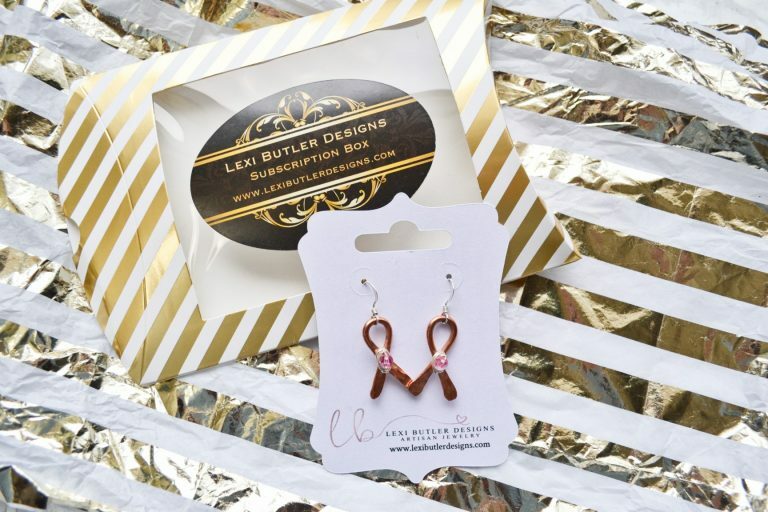 Or, you can subscribe to her Earrings of the Month subscription box! Each month, you will receive a beautiful handcrafted pair of earring that is either made of sterling silver, copper, or 14k gold. 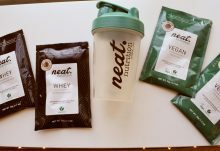 A subscription costs $25/month, and the earrings you receive will be worth at least $35. Today, I will be reviewing October’s Earrings of the Month. 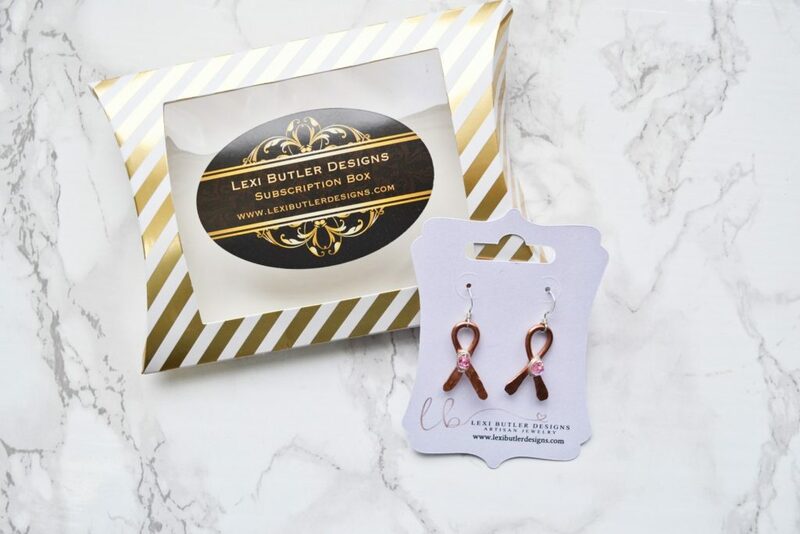 October’s featured jewelry was a beautiful pair of Breast Cancel Awareness Copper Ribbon Crystal Earrings. 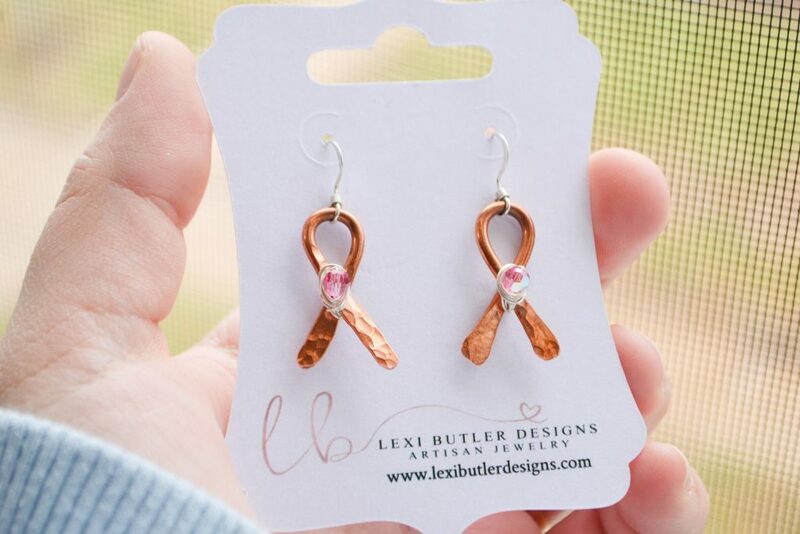 October is Breast Cancer Awareness Month, and I am so happy that Lexi sent out earrings to support women. 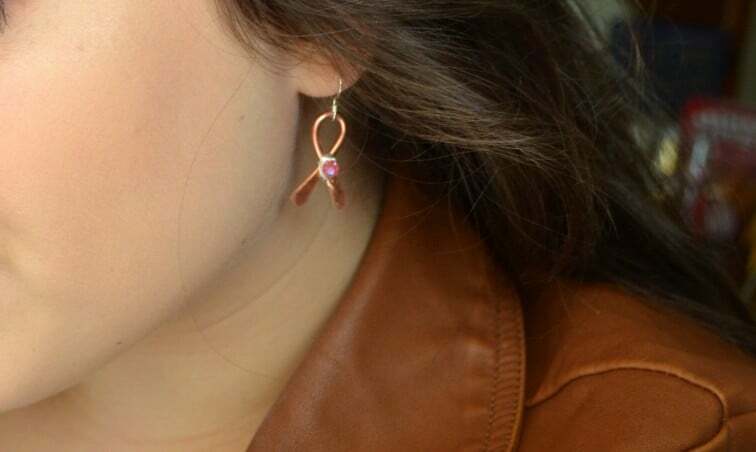 I lost a family member to breast cancer, and I ended up wearing these earrings for a couple weeks straight to honor her memory. The earrings are made from hand sculpted copper, and wrapped with sterling silver wire. Each earring has an eye-catching rose Swarovski crystal! And here is how they look in daylight! 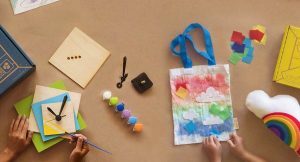 The design is simple, but they are made with high quality materials – which is why they are so gorgeous. I can’t get over how beautiful the crystals are. 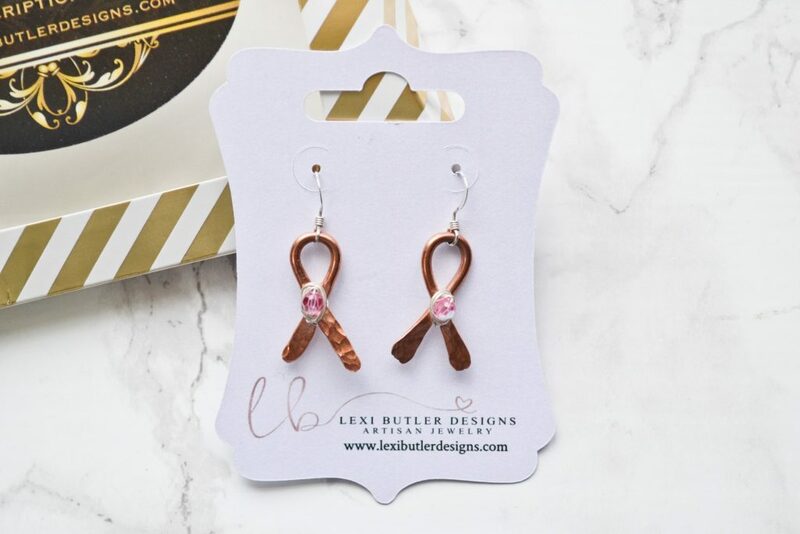 This is my third time trying Lexi Butler’s Earrings of the Month, and I always love what she crafts. 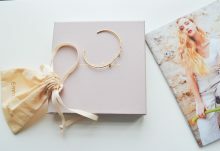 This subscription box lets you try out different styles of high quality, artisan-made jewelry while saving a couple bucks. 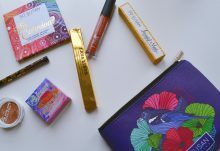 With the holiday season rapidly approaching, keep this subscription in mind as a gift for jewelry-loving friends and family!